Karen Hite Jacob, artistic director, harpsichord, established Carolina Pro Musica in 1977 as a not-for-profit organization. She is a graduate of University of NC, Greensboro with a masters degree from UNC-Chapel Hill . Organist for Belmont Abbey Basilica , she is instructor in music and director of Arts at the Abbey for Belmont Abbey College, Belmont, NC. 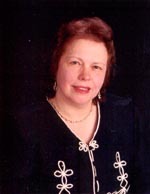 Karen is founding member and past president of the Southeastern Historical Keyboard Society now Historical Keyboard Society of North America (http://historicalkeyboardsociety.org/). Her musical research, presentations and performances include the United States, Belgium, Germany, Sweden, the United Kingdom (Grosvernors' Chapel & Handel House, London) and Peru. She has guided Carolina Pro Musica trips to Poland, England, and taken students to Russia to teach music and English. She is the producer of Carolina Pro Musica's compact disks. She was guest harpsichordist with the Charlotte Symphony in October 2010. Her organ recordings ar available through FIMTE (Spain) - a part of the complete works of Antonio Cabezon in honor of his birth (1610). Holly Maurer, viola da gamba, continuo, flauto traverso / recorder has a BA from St. Lawrence University in music and religion and MM from The New England Conservatory in performance practice of early music. She studied viola da gamba with Grace Feldman in Boston and has continued her studies with Gail Schroeder. She was in school at New England Conservatory with CPM's recorder and flute player Edward Ferrell. Holly has performed with New England Baroque ensemble and various chamber groups in Boston & New York before moving to Charlotte in 1993. 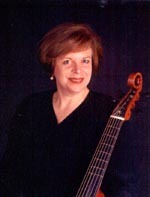 Holly performed with Karen Jacob at the Boston Early Music Festival, June 1997. For many years, she performed with Carolina Baroque, has been a guest artist with several ensembles and has taught summers at Mountain Collegium. 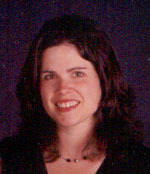 Holly also teaches music at Central Piedmont Community College, in Charlotte where she directs the Early Music classes. Rebecca Miller Saunders, soprano, first appeared with Carolina Pro Musica in 1992 and later joined the ensemble in 1994. She earned a Double BA in Voice and in Arts Management from Salem College, Winston-Salem, NC . She then pursued graduate study in early music at the Institute for Early Music at Indiana University under the direction of Paul Elliott and Thomas Binkley. Rebecca has been involved in early music recordings including a commercially available CD of the music of Hildegarde von Bingen (1098-1179) with the Institute for Early Music. Rebecca also enjoys being a worship leader at Uptown Church in Charlotte and is a teacher at Covenant Day School in Matthews, NC. Edward Ferrell holds degrees from The New England Conservatory of Music (1978, BM) and UNC- Chapel Hill (1986, M.A. in Musicology with specialty in 17th century Italian opera and vocal music). Edward plays recorder (undergraduate degree is in performance), and flauto traverso. He serves as research assistant for Carolina Pro Musica and translator of much of the vocal music. He has performed as recorder soloist in Handel operas, Bach cantatas and Britten's Noye's Fludde in the Carolinas, GA and the Boston area with the New England Dance ensemble. Having been with Carolina Pro Musica since 1979, he performed with Karen Jacob several years earlier. 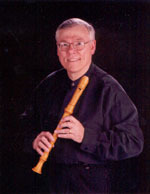 He has served as adjudicator for flute competitions and has taught recorder and clarinet. Ferrell was part of the contingent performing in Poland. Eddie plays guitar and mandolin. He also has performed on flute with the NC Baroque Orchestra. 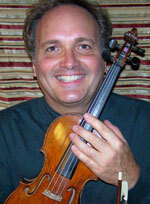 John Pruett is a musician who plays both modern and baroque instruments including violin and viola. He is regularly heard in the Carolinas from the Triangle to the Triad, in South Carolina and with El Ensamble Barroco de Arequipa in Peru. He began his involvement in the early style of music in a consort for a run of Shakespeare's Twelve Night while still in high school. Upon arrival in Philadelphia at the Curtis Institute of Music he got involved with the Ancient Instrument Society that had recently restored a Mathias Tier viola d'amore which they loaned him for 2 years. Since then he has played in Carolina Baroque, Collegium Musicum Salem, the Magnolia Festival and North Carolina Baroque Orchestra. John has also performed many programs with a group that promotes contemporary music to be composed for Baroque instruments called Aliénor. In spring of 2015 he was part of the VIII Encuentro International Sobre Barroco in Arequipa Peru where he played a concert of music written in the 1600's in South America by the composer Domenico Zipoli. John appears as a guest artist on Carolina Pro Musica's CD "Following the Lamb". Other interests have led him to restore a 19th century water powered gristmill in East Bend NC. Bob Sweeten has appeared as narrator for Carolina Pro Musica’s Christmas at St, Mary’s concerts since 2009. He has been Max on the syndicated Bob & Sheri morning radio Show that originates from WLNK in Charlotte for over 14 years. He grew up in Pennsylvania and Washington, DC and got his start in radio at a religious station in Virginia at the age of 18. In addition to his duties directing Bob & Sheri, he is active in local theater. In spring 2009, he appeared as Emperor Joseph in Amadeus, the final production of The Abbey Players 125th anniversary season, Belmont, NC.. In his 21st season as a member of the Abbey Players, he appeared as the Colonel in Journey’s End (Fall 2011). He has won two coveted Addy awards for his work in television and radio commercials. Carl DuPont is a vocalist equally engaged in performing, teaching and research. He made his first operatic performance as a boy soprano in the title role of Amahl and the Night Visitors in his hometown of Dayton Beach, Florida and has been singing ever since. 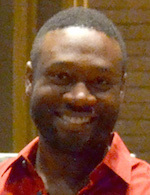 He has been celebrated for his “dramatic, dark tones” (South Florida Classical Review) and his ‘lyricism that underpins every statement” (Fanfare Magazine) as Leporello in Don Giovanni, the title character in Dennis Rodman in North Korea and the title role in Approaching Ali with the Asheville Lyric Opera. He currently serves as an assistant professor of voice at the University of North Carolina at Charlotte. Highlights from his 2016-17 season include his debut with Opera Carolina as Jose Castro in La Fanciulla del West, Pontius Pilate in St. John Passion with VOX Firebird Alliance, a national tour with the American Spiritual Ensemble and a position as a Young Artist with the Glimmerglass Opera Festival. Carl was invited to participate in the Bach Competition in Leipzig, Germany in the summer of 2016 and made his debut performance with Carolina Pro Musica during 2016-17. 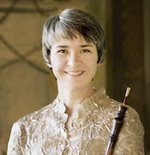 Alicia Chapman is Professor of Oboe at Appalachian State University. She is a member of the North Carolina Baroque Orchestra and Principal oboist of the Asheville Symphony. Chapman is an active performer in the Southeast Region on both modern and Baroque oboes, and is in demand as a teacher, coach and clinician. She enjoyed a 30 year tenure with the Harrisburg (PA) Symphony and is a founding member of Harmonia Baroque, Appalachian State's resident early music ensemble. Allison Willet, modern violin, baroque violin, viola da gamba, viola d’amore, is active in symphonies and ensembles all throughout the southeast, frequently performing with the NC Baroque Orchestra, Atlanta Baroque Orchestra, and Mallarme. She is a founding member of Raleigh Camerata, Bull City Baroque, and the NC Baroque Orchestra. She also founded and directed Greensboro Early Music. She has appeared as a soloist with the NC Baroque Orchestra, the Winston-Salem Symphony, the Salisbury Symphony, and NC Theater. She is widely sought-after by universities as a guest lecturer, and teaches at Durham Academy. She maintains a private studio from her home in Durham where she lives with her husband and 3 cats.